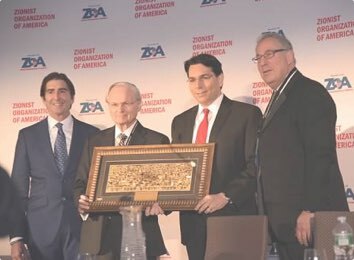 As a national force, ZOA advocates for Israel through education on college campuses with our tremendous Campus Department, Capitol Hill, through the legal system with our Center for Law and Justice, and in regions throughout the country. ZOA has been on the front lines of Israel activism since 1897. Under the leadership of such illustrious presidents as Supreme Court Justice Louis Brandeis, Rabbi Dr. Abba Hillel Silver, and current National President Morton A. Klein, the ZOA has been on the front lines of Jewish activism. Are you tired of feeling helpless when you hear about what’s going on in Israel? Do you want to feel like you’re making a difference? There are so many ways to get involved with ZOA Florida. Contact us today and get active! Yes, I’m interested. Please tell me more! Yes, I’m interested. Please tell me more! ZOA Florida is looking for activists and good writers to be part of our efforts in combatting anti-Israel propaganda in media, social media and in print. To find out more, submit your contact info and someone will be in touch.